SANTIAGO PAPASQUIARO, Mexico, Mar 9 2018 (IPS) - Forest communities play a fundamental role in Mexico in combating land degradation, but they need more support to that end. The owners of forests can make a contribution in this Latin American country where half of the territory suffers from some degree of soil impoverishment, to reach its goal of 8.5 million hectares rehabilitated by 2020, and Land Degradation Neutrality (LDN) by 2030. “We cordon off vegetation, we reforest, we install silt filtration dams (natural seepage barriers to stop water erosion). This way we retain moisture, stop the loss of soil and protect natural resources,” Benito Acevedo, in charge of technical management in the community of El Tarahumar, in the northern state of Durango, told IPS. El Tarahumar is an ejido – communities on formerly public land granted to farm individually or cooperatively – covering 73,310 hectares, including 25,000 hectares of forest. The community operates two sawmills, one of them in the municipality of Santiago Papasquiaro, located 1,054 km north of Mexico City. 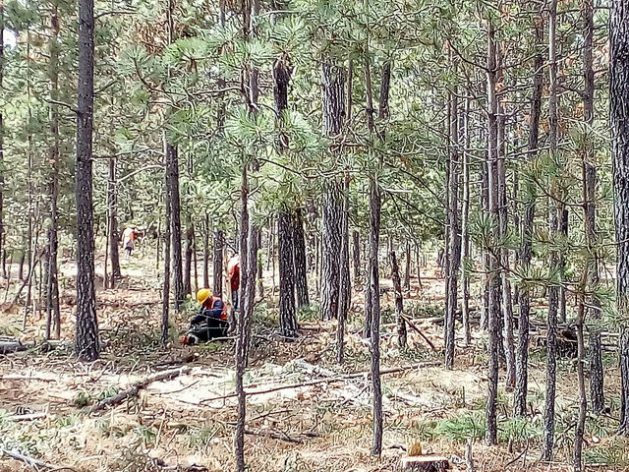 Of the 12.3 million hectares in the state of Durango, which in 2015 had a population of 1.75 million people in 39 municipalities, and more than nine million hectares of forest, 7.6 million present some damage and 1.48 million are seriously affected, according to data from the government’s National Forestry Commission (Conafor). These are the effects of the droughts of 2011, 2012 and 2016, as well as of pests that destroyed the forests in 2012, it was explained to IPS during a tour of several communities in the region, together with members of civil society organisations, local forest workers and government officials. 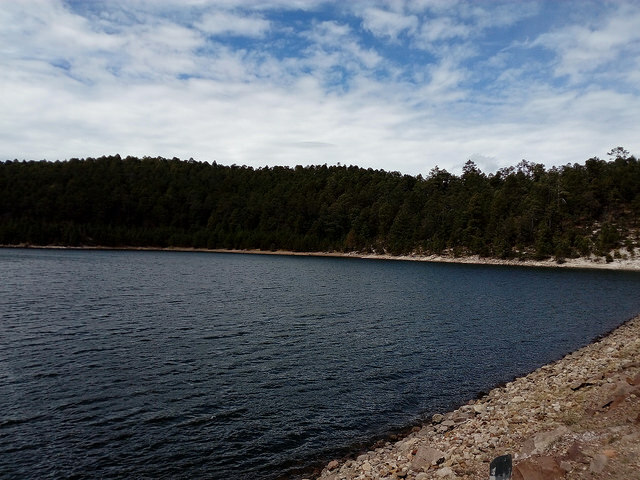 El Tarahumar, which has 180 ejido members, has installed some 2,000 cubic metres of dams and reservoirs, and reforested 20 hectares in 2017, with a plan to add another 20 in 2018. In 2016, Mexico, a vast country of 1,964,375 square km (196.44 million hectares), had 20.3 million hectares of temperate forest, 850,000 hectares of cloud forest, 50.2 million hectares of shrubland, 7.9 million hectares of pastures, 11.5 million hectares of rainforest and 1.4 million hectares of other vegetation, according to the National Institute of Statistics and Geography. The non-governmental Mexican Civil Council for Sustainable Forestry lists 4,886 forest communities and ejidos, 2,900 of which exploit the forests commercially. In Durango, where there is a strong forest industry, 28 communities and ejidos make use of their forests. “Restoration is part of forest management. We install silt filtration dams in streams. This is how we maintain the land,” Abel de la Cruz, president of the El Brillante ejido local authority, told IPS. The ejido, which has 9,500 hectares of land, including 9,100 hectares of forest, maintains the 65-hectare Quebrada de Santa Bárbara protected natural area, established in 2008. The 96 “ejidatarios” or members of the ejido planted 3,000 trees in the protected area in 2016. In Mexico, only seven million hectares are covered by a management and conservation plan – a requirement to obtain approval for the development programmes promoted by Conafor. Of the country’s total surface area, 116 million hectares – 59 percent of the total area, inhabited by 63 million people – present some degree of degradation and desertification. In response, the government began in 2017 to develop a still incomplete strategy to achieve Land Degradation Neutrality (LDN) by 2030. A national voluntary LDN target was decided in 2015 by the State Parties to the United Nations Convention to Combat Desertification (UNCCD), as a formula for each country to compensate for the degradation of its soils. In addition, Mexico participates in the Initiative 20×20, which emerged in 2014 with the aim for Latin American and Caribbean countries to reduce degraded land by 20 million hectares by 2020. Based on technical studies, Mexico set a voluntary goal of restoring 8.5 million hectares by that year – the most ambitious goal in this region, where 17 countries, three Brazilian states and three non-governmental organisations committed to restoring 53.2 million hectares within two years. In addition, this country set its own target to reach zero deforestation by 2030 – a major challenge given that an average of 200,867 hectares of forests were lost annually between 2011 and 2016, according to estimates by Mexico’s Federal Audit Office (ASF). LDN is essential to achieving target three of goal 15 of the 17 Sustainable Development Goals (SDGs), the one aimed at conserving and restoring land ecosystems. Target three is to “combat desertification, restore degraded land and soil, including land affected by desertification, drought and floods, and strive to achieve a land degradation-neutral world” by 2030. For Armando Delgado, a specialist in sustainable forest management at Conafor, Mexico can reach LDN, which requires “awareness among producers, commitment and inter-institutional coordination.” Conafor is Mexico’s UNCCD focal point. “It is clear that conservation and prevention actions are needed, as well as actions to protect biodiversity. To continue exploiting forests, conservation measures must be applied. Degradation occurs closer to urban centres, due to the advance of urban sprawl,” the expert told IPS. The 2016 report by the ASF, which evaluated the programme “Support for sustainable forest development” for protection, cultivation, use, restoration, conservation and management, found shortcomings in its execution. “The degradation of forest lands and deforestation caused by inadequate management of these resources have directly led to the loss of forest area,” causing a reduction of the restoration of the hydrological cycle, carbon sequestration, the recovery of biodiversity and oxygen production, the ASF concluded. Conafor, for its part, identified 35 million hectares that could be preserved and 52 million hectares that could be managed. But of every 100 requests for support, Conafor rejects 28, according to the ASF. The UNCCD’s 2017 Scientific Conceptual Framework for LDN stipulates that countries must observe the evolution of their forest cover, the productivity and the organic carbon stocks in their soils. In 2017, the National Human Rights Commission issued an alert on the risks posed to people by land degradation in Mexico. “We need more resources to combat degradation. Conafor provides support, but it is not enough,” Acevedo said. In March, the United Nations Food and Agriculture Organisation (FAO) will start to carry out a Global Forest Resources Assessment in Mexico to determine the status of the country’s forests and what it needs to do in order to fulfill SDG 15.